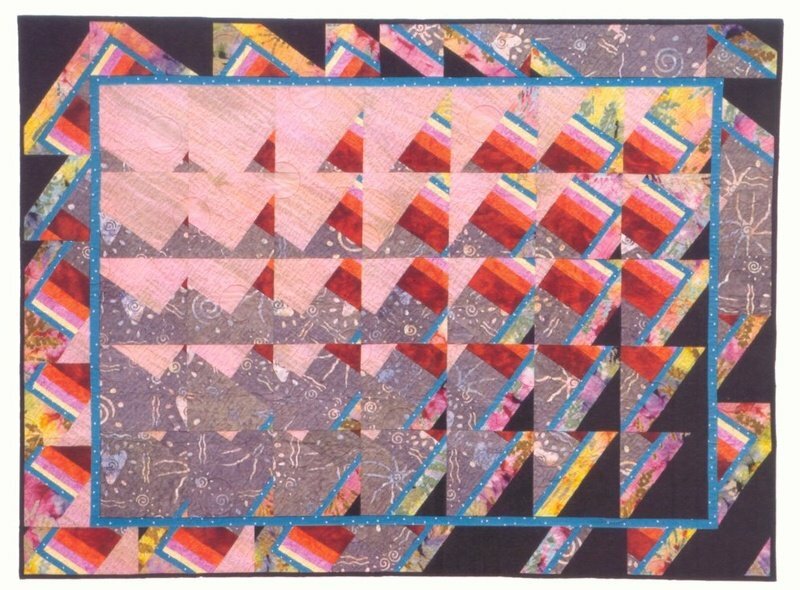 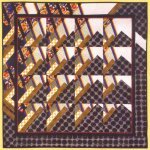 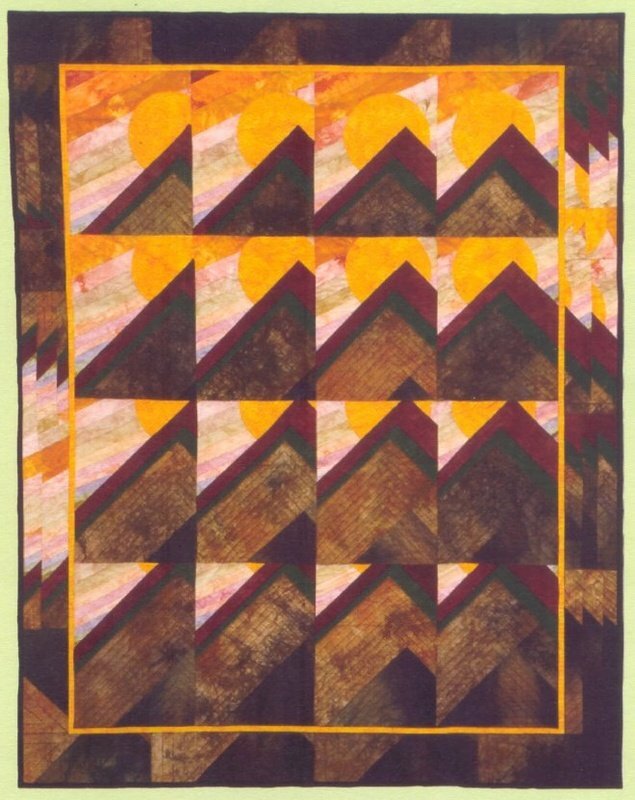 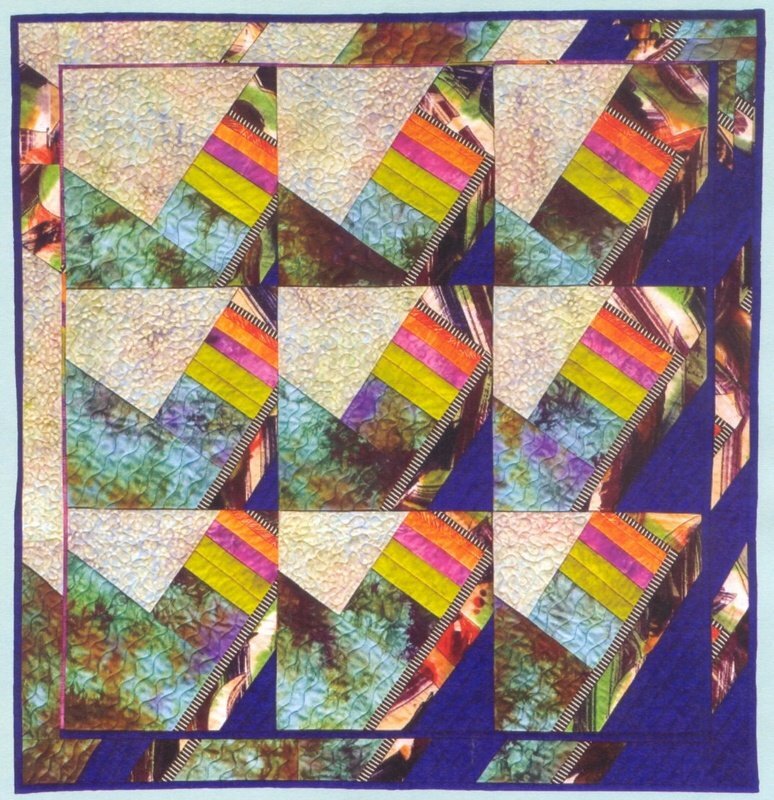 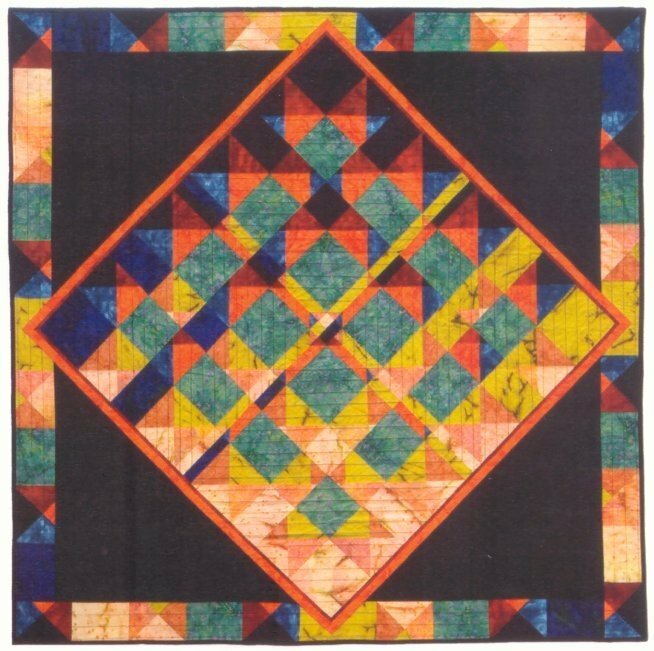 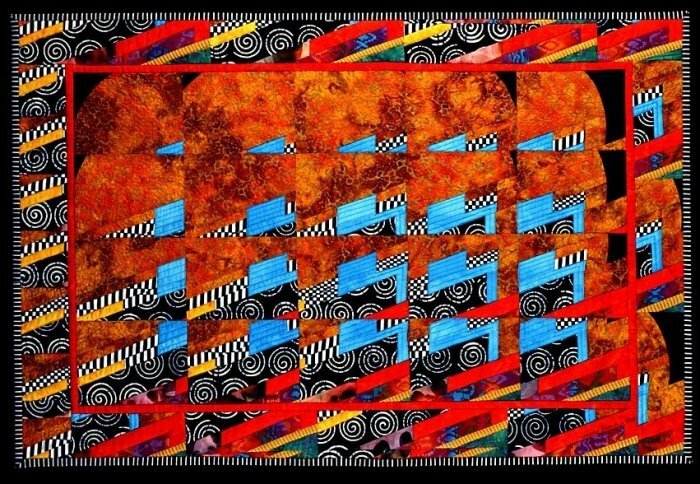 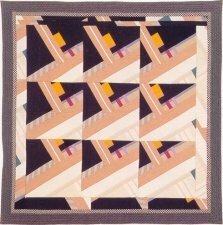 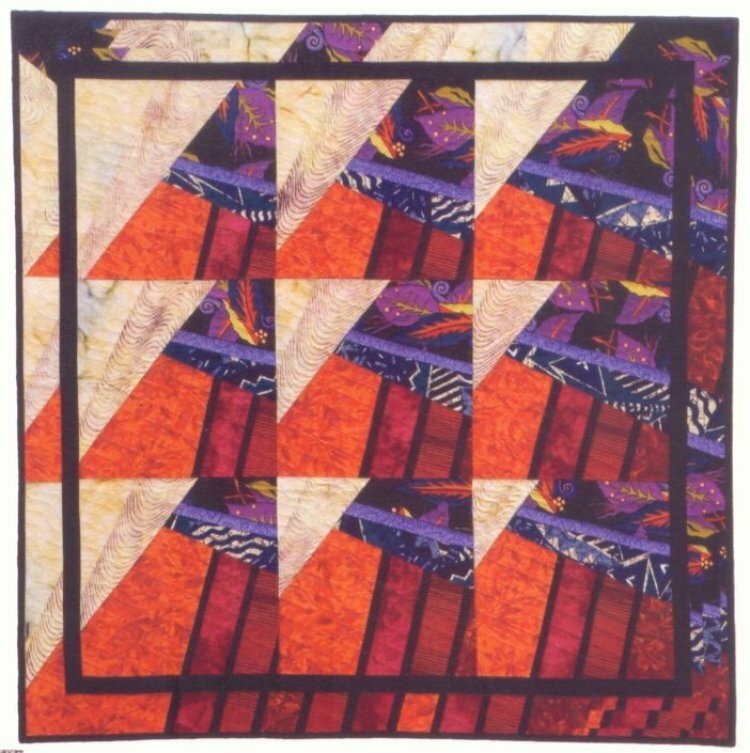 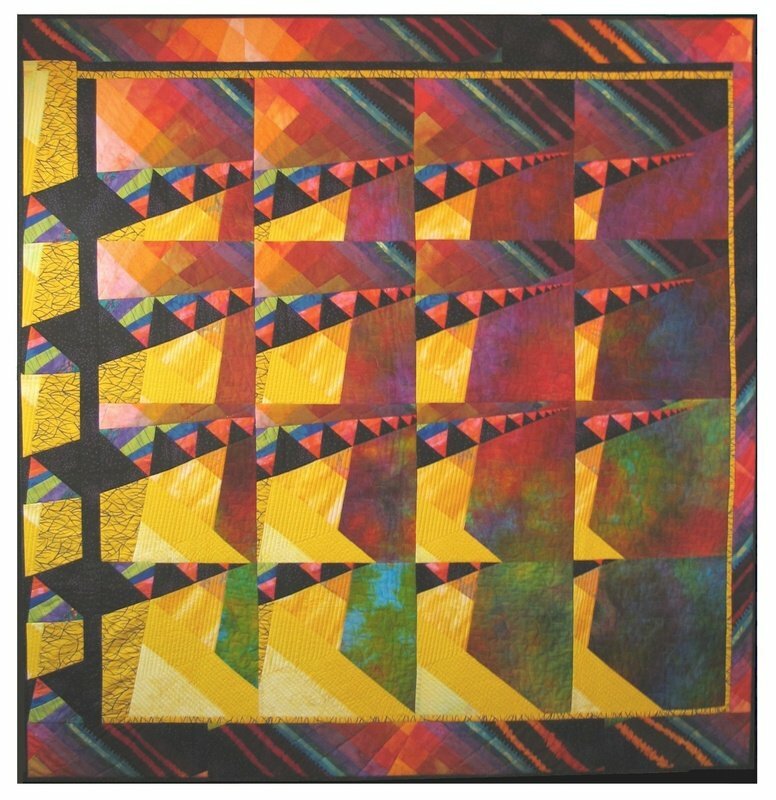 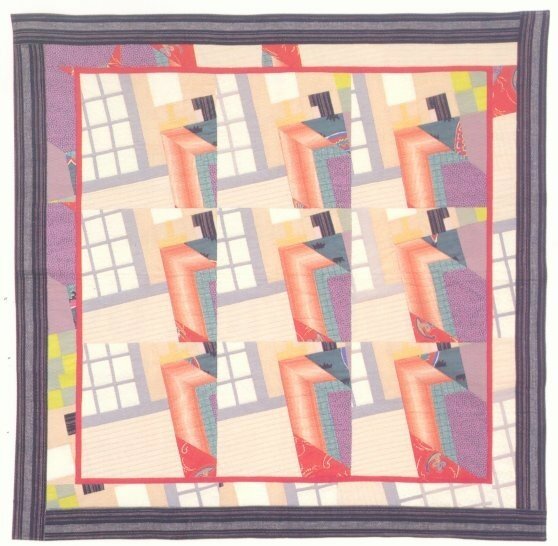 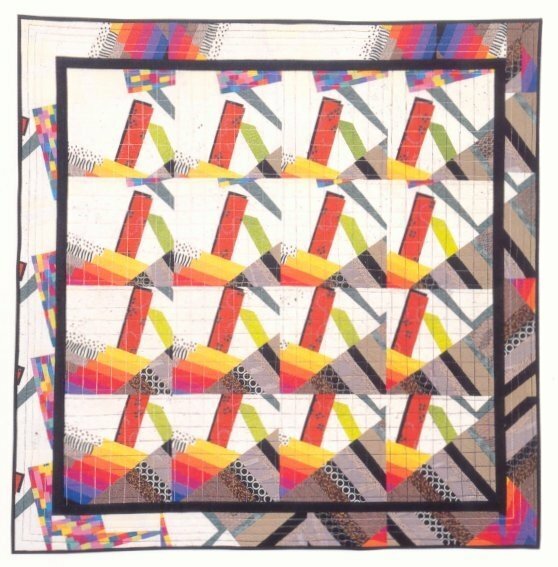 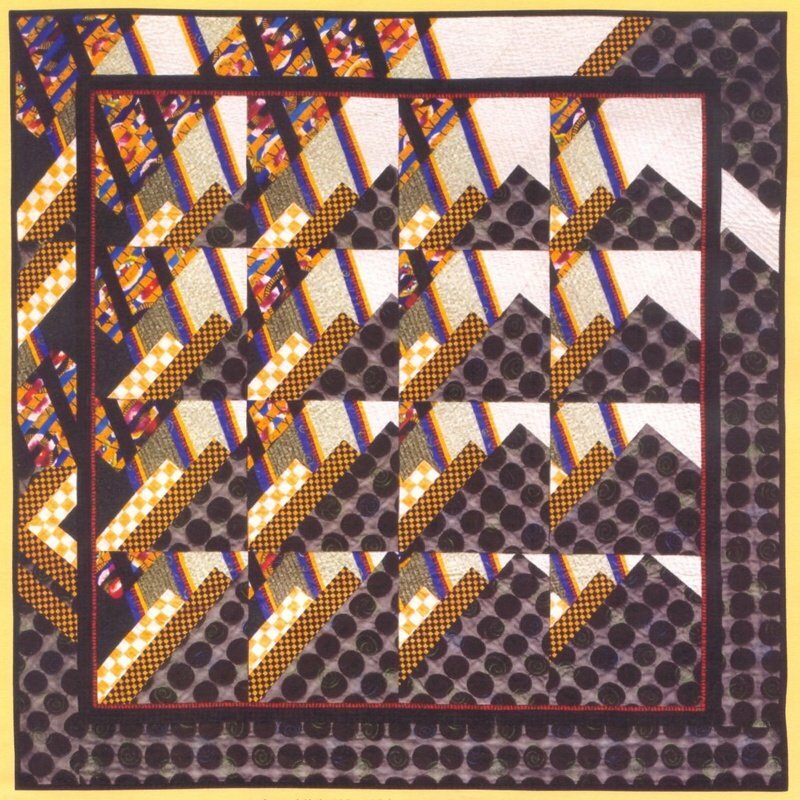 These quilts were made using a Multi-View Lens, also called a Fresnell Lens or a Fly's Eye, to find shifting, repetitive images in the surroundings. 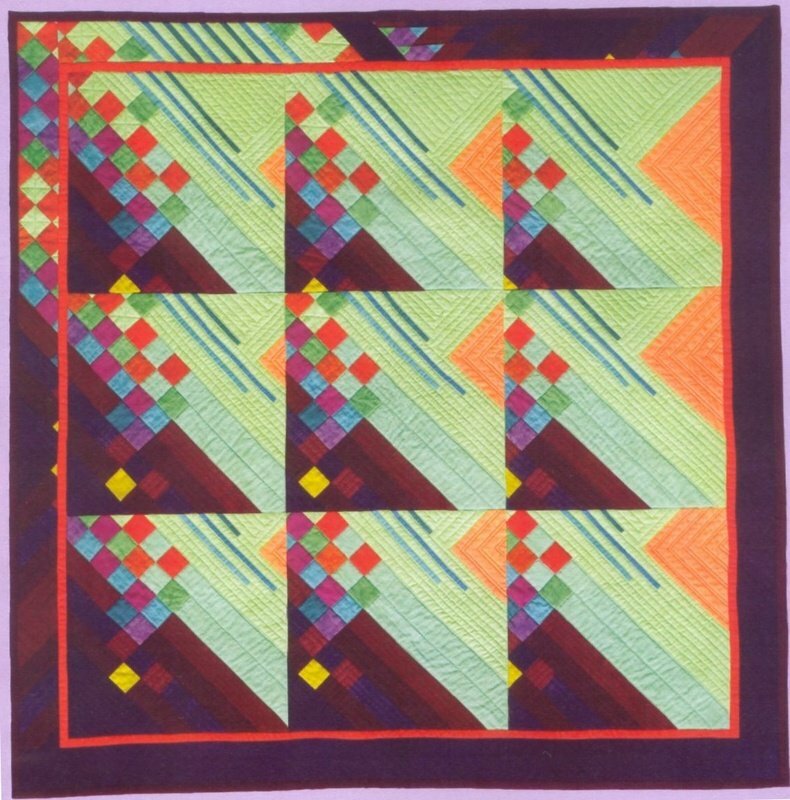 A simple block using one of the frames in the lens was repeated , larger than needed for the finished blocks. 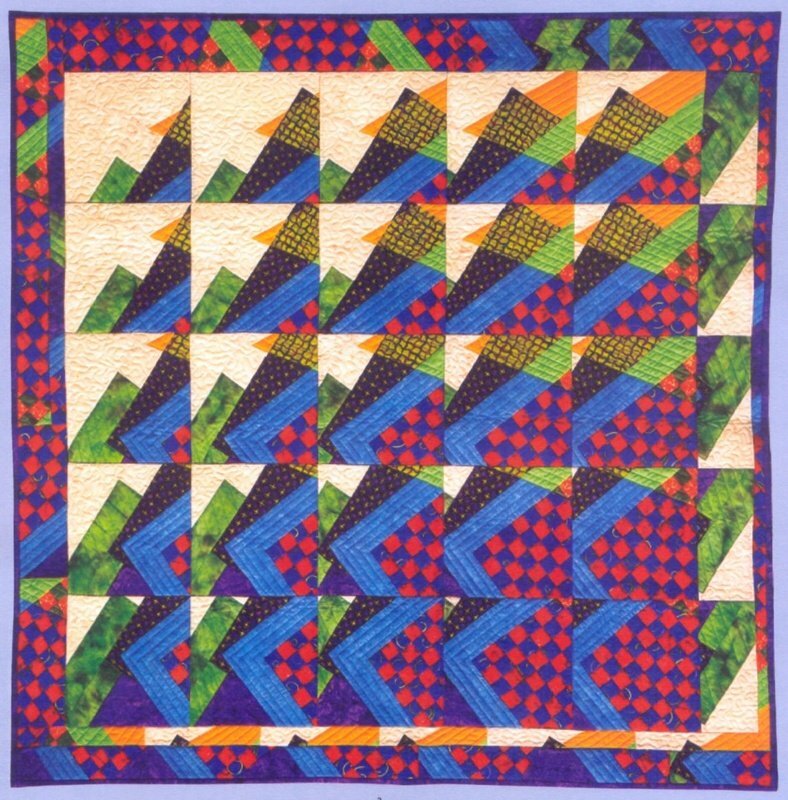 Using a specific formula, the blocks were trimmed to a smaller size, but in a different place each time, and the trimmings were then available to use in the borders (see the book, Shifting Perspectives).